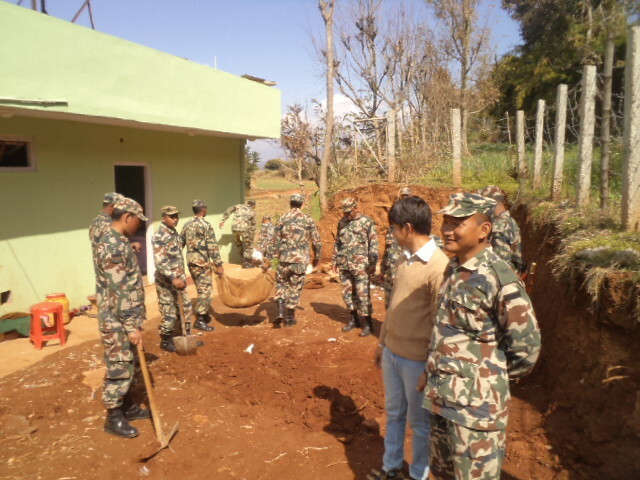 Dil Bikaram Subba the new Army Major started his work in Tamghas. He seems also to be helpful. Yesterday and today, he sent 20 soldiers to help with the construction work in the garden of the hope centre.